Eleanor Catton is a smart and cool lady whose books I absolutely need to make time for (I’ve started The Luminaries, but reading time was scarce this week and I haven’t made much progress. Maybe I’ll use next week’s long weekend as an excuse to really lose myself in it). She talked about many things, but her point about the overlapping of Victorian and contemporary values in her historical fiction especially caught my attention. She said she was interested in telling a story where the characters were true to the values of their time period, but that doesn’t mean there would be no distance between the narrative and this value system. You can simultaneously write historically accurate Victorian characters and create a story that gives humanity and agency to, say, the characters of colour. To Catton, this balancing act is both the challenge and the delight of writing historical fiction. On a somewhat related note, Catton discussed her use of a third person omniscient narrator and its disappearance from the modern literary landscape. One of her main ambitions for The Luminaries was to recreate the use of omniscience you usually see in a Victorian novel, but to have it be a kind of omniscience that was grounded in a different worldview than what you associate with nineteenth-century novels. Only a very narrow sect of the population (read: mainly straight white men) would get their voices heard and their stories told then, and she wanted to write a novel that made use of the Victorian bird’s eye view but expanded the range of voices it encompassed. My e-reader tells me I’m only 4% into The Luminaries, but I’m really looking forward to reading further. I’ve seen it compared to my beloved Wilkie Collins multiple times, and the voice and atmosphere of the first few pages did put me in mind of his novels. Immediately after Eleanor Catton I got to see another author of (mainly) historical fiction. Emma Donoghue discussed her new novel, Frog Music, which is set in 1860s San Francisco and sounds absolutely awesome. Donoghue said she was interested in how so much of what we associate with modern life was already present then: mid nineteenth-century San Francisco was a fast-paced urban environment and a multi-cultural city that attracted people from all over the world. She talked a lot about her research process and how her academic background plays into it. Donoghue said she listed her sources so extensively because she feels that to an extent historical fiction relies on a collaborative relationship with what came before. The primary sources and scholarship she draws on play a huge role in her novels, and it’s important to her to acknowledge that. Like Eleanor Catton, Emma Donoghue is interested in how historical fiction allows us to examine different value systems and to think about our relationship with them. She’s interested in the “defamiliarizing effect” historical novelists get to introduce — the little moment when a century and a half suddenly thrusts itself between you and characters you felt quite close to up until then, and you’re reminded that there are real differences in terms of dominant attitudes that have implications in terms of how people live. For example, she expects it will give her readers a jolt to suddenly see some of the characters in Frog Music make reference to the fact that the age of consent was ten, and to realise what this means in regards to how little legal recourse other characters have. Donoghue was a lively and engaging speaker, and again I feel bad that I’ve read so little of her work. I loved Kissing the Witch (a collection of lgbtq fairy tale retellings that unfortunately I never got around to blogging about) when I read it a few years ago, and it’s about time I stop ignoring the copy of Slammerkin that has been waiting patiently on my TBR pile for over a year. John Carey, whose What Good Are the Arts? 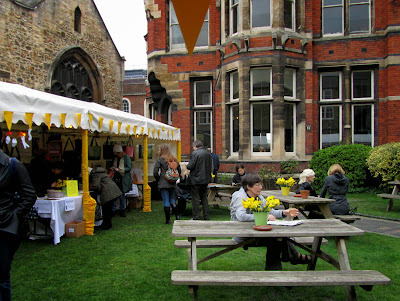 I adored, was at the festival to discuss his new book The Unexpected Professor: An Oxford Life in Books. Carey said that when he was invited to write a memoir, he realised that he was more interested in talking about how he met certain books than in the time he spend among “important” people — so although the title “My Life in Books” was vetoed by his publisher, that’s still the real focus of the book. He wanted to write a book that was “joyful about reading”; a book that focused on the works that have affected him and added something to his life. His new memoir also focuses on how he experienced class as a grammar school boy at Oxford on a scholarship in the 1950s, on how these experience informed his life and career, and on what has changed and what has not. I liked that Carey called out the chair of the event for referring to What Good Are the Arts? and The Intellectuals and the Masses as “his two polemics”. He did so in a good-humoured but also very no-nonsense kind of way: “polemics” as opposed to “serious books”, he said, as if he were merely being provocative and couldn’t possibly stand by what he says in those works. Yet Carey clarified that he very much does. When asked how he managed to reconcile his belief that aesthetic judgement are subjective with his professional life, Carey very sensibly explained that he has no trouble at all doing so. For him, teaching, reviewing or judging literary awards is not about arriving at an unquestionable truth about a literary work, or about settling once and for all whether or not it’s a “good” work. Instead, it’s about explaining, as persuasively as he can, why a certain work matters to him, so that he can hopefully pass that on. What he hopes is that someone else will want to engage with it closely, and hopefully find the same source of joy and meaning in something that he loved as he did. Carey also discussed the issue of politics vs art: he used Lawrence, who he finds an extraordinarily moving writer even though he held some monstrous political views, as an example, and said that he especially struggles to reconcile the two and separate the work from its creator in the case of literature. This is because literature gives us tools to think with. Literature is all about engaging with ideas; it’s about being invited to enter someone’s moral world and seeing what it looks like from the inside. The only solution he’s come up with over a several decades’ long career is to accept the invitation, but not leave his critical faculties at the door. Being moved by Lawrence or Eliot doesn’t mean you can’t also appraise and discuss the very troubling political implications of some of their works. I got a lot out of Carey’s talk — so much of what he said about the process of writing about books resonated with me. It got me thinking about how I discovered his work through Nick Hornby, and how they’ve both been such an inspiration. They have informed my approach to my own modest form of writing about books over the years, and as such they’re very important to me. Having said that, there are two things I can’t not mention. One, Carey talked a lot about books he admires, both classics and contemporary works, and as much as I agree about the excellence of Never Let Me Go, which Carey called his favourite contemporary British novel, I have to say that now I’m slightly terrified that I’ll pick up The Unexpected Professor and find out it doesn’t mention a single book by a woman. Considering that Carey is a nearly eighty year old man, I imagine that his formative influences, the works he was exposed to through his education, are likely to have been overwhelmingly by male writers — which accounts for his memoir’s bias to an extent. But this is the sort of thing I just can’t unsee, and the blind spot saddens me all the same, especially in someone who’s as sensitive to issues of class as he is. 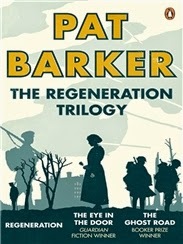 Lastly, I got to see the amazing Pat Barker, who, in honour of the Great War’s centenary this year, mainly discussed her excellent Regeneration trilogy. Hearing her talk was a perfect reminder of why I loved those books: it was the next best thing to revisiting them, and it left me aching to find the time for a reread this year even though it hasn’t been that long since I read them for the first time. Barker said that part of the reason why she decided to write about WW1 was her grandfather: he survived the war, and all she had growing up was the knowledge that he suffered due to an old bayonet wound and his silence. As a writer, that was all she needed: a mystery, an unanswered question, a story no one was willing to tell. Her imagination filled in the gaps. She added that she finds it extraordinarily moving that her grandfather passed away in the 1960s believing that the war got him in the end. He died of stomach cancer at a time when no one would say the “C” work and doctors would hide the truth from their patients, so he believed everything he was going through was the result of the old wound acting up. She also discussed the fact that WW1 tends to be used as a metaphor for all wars, but this, in addition to being an Eurocentric view, doesn’t do justice to the reality of contemporary conflict. In most wars the conflict isn’t far removed from civilian populations. They don’t just suffer the grief of losing loved ones; they also suffer — sometimes to a much greater extent than the armed forces — because they’re in danger or aren’t getting enough to eat. All this to say that while WW1 was horrific, it’s dangerous to think of it as a template for all wartime experiences. The Great War also interests her because it’s a hypermasculine setting, but also one where men were cast into nurturing roles. She’s interested in those contradictions and in the tensions that resulted from them. The war was meant to be “manly”, yet men at war often had to care for others more vulnerable than themselves. The war also put them in positions of powerlessness, where there was nothing to do but wait and try to make their fellows' lives a little less unbearable than they’d otherwise be. This was directly at odds with what so many of these young men were raised to think their role in life would be. Barker’s exploration of these ambiguities is probably my favourite thing about the trilogy. ***As I said, this is only a glimpse of everything that was discussed at the talks I attended — I must do a better job of taking notes next time. It will probably be a long while until I get to go to Edinburgh again, but I have to say that in the meantime my local festival will more than do. Fingers crossed that the excellent programs continue in the next few years. Aww Barker sounds wonderful - I've got to read more of her books. And I think you did a great job of summing up what you got from each talk even without notes (I've a terrible memory and could never have brought all that stuff back from a public talk). I keep looking at Emma Donaghue's books but I think "Room" put me off although it sounds like that isn't typical of her books. Bookgazing: I need to read more Pat Barker too. Also, how come Room put you off? Did you read and dislike it or was it the premise? In any case, it IS pretty atypical for her. I definitely recommend Kissing the Witch, and her historical novels sound a bit Sarah Waters-ish. Also, she wrote this: http://www.emmadonoghue.com/books/literary-history/inseparable.html WANT. Hope they keep making the festival so interesting for you! 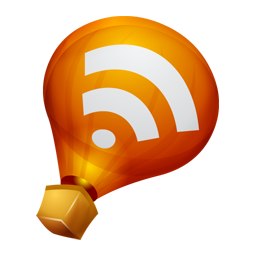 After reading this post, I absolutely must go read some Carey. Sounds really fascinating. Beautiful post, Ana! You met Eleanor Catton, Emma Donoghue, John Carey and Pat Barker? So awesome! So, so jealous of you! 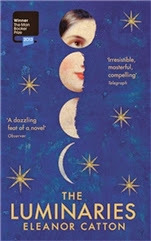 I read Emma Donoghue's 'Room' and loved it. And I also loved John Carey's 'What Good Are the Arts?' though I am having slightly different thoughts these days on some of the things he said and so have to read it again and find out what I think. I liked very much what you wrote about Carey's talk - especially what he said about reading taste being subjective but looking down on adult readers reading Tolkien. I actually couldn't believe that. The cynical part of me feels that he shared out a liberal thought with the best analytical arguments but deep inside his heart he didn't believe in it himself. I hope that is just the cynic in me talking and I hope that is not true. I would love to read his memoir though. I think I will like it. Though I could identify totally with what you have written about the books he might discuss - it does make one uncomfortable if the only writers he is going to discuss are white, male ones. (The fact that he likes Kazuo Ishiguro is a good sign, though, in this context.) I also liked reading in your post about Pat Barker's grandfather. It is sad that the doctors weren't transparent with him. Thanks for this beautiful post, Ana! Glad to know that you had a wonderful time at the literary fest. It's too bad that no one is allowed to get a PhD in literature without finding some group of readers to ridicule, but rules are rules. Sounds like you had a wonderful time. I also went to see Catton a couple of weeks ago and was bowled over by her articulate and calm manner (i.e. I wish I was like her!) It's also interesting what Carey says about what you reading material might say about you. I have to admit that until I started reading book blogs, it never crossed my mind that my reading could be skewed towards male authors. I'm much more aware now although it'll still take some time for me to change my habits. Meghan: yay, you got Regeneration! It's definitely right up your alley. The Luminaries is really good so far. I do hope the festival continues to be good - and maybe next year there will be more events on the weekend and I'll be able to invite you along again? Trisha: I'd love to hear your thoughts on What Good are the Arts! Vishy: What Good are the Arts is definitely a book close to my heart. I don't think Carey is exactly someone who just pays lip-service to the idea of being inclusive because it's something he feels he's supposed to be saying, it's just that... the theory is easier than the practice, I guess. Anyway, I was pleased he mentioned Ishiguro too - at least it wasn't all white men! Sakura: Yes, she was amazing! Really smart and well-spoken in an unassuming sort of way. I liked her a lot, and I'm really enjoying the book. I love when you share your bookish adventures! I would love to hear Emma Donoghue speak. I have Frog Music out from the library right now. 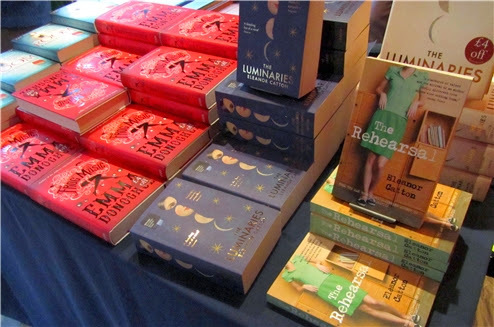 I'm also so interested in reading The Luminaries before I go to New Zealand this fall.